Why is on-site printing so profitable? If your customers want the best souvenirs or printed garments, they’ll wait until they see the process of the print. Seeing the process keeps guests more intrigued and naturally considering their own designs. If time and commission is of the essence, on-site printing is the way to go. You’ll probably need to pay a few upfront costs, but the speed and convenience could be a big value-add to your business or organization. At Events By Idea, the entire operation is FREE of charge. Event sales is all about emotion and intimacy, and you’ll make the most sales when customers’ memories and spontaneity are fresh and of the moment. On-site printing allows deliverable finished products before their eyes – with sublimation, it’s within seconds! With the right professional equipment, it’s an experience that your guests crave and open their wallets for. It’s important to know your customers and industry because on-site printing will be a hit at some events, but not at others. Sports events, business expos, competitions, concerts, festivals and other non-formal affairs are great opportunities for revenue. Other events that may not be appropriate are weddings, banquets and other high-class events. Look at your own experience and current industry to decide whether on-site printing is the best solution. Get in touch with pros to explore services or other options. Many companies out there have hidden fees or expect money up-front prior to your events. It’s important to find the best commissions you can get at a low cost. 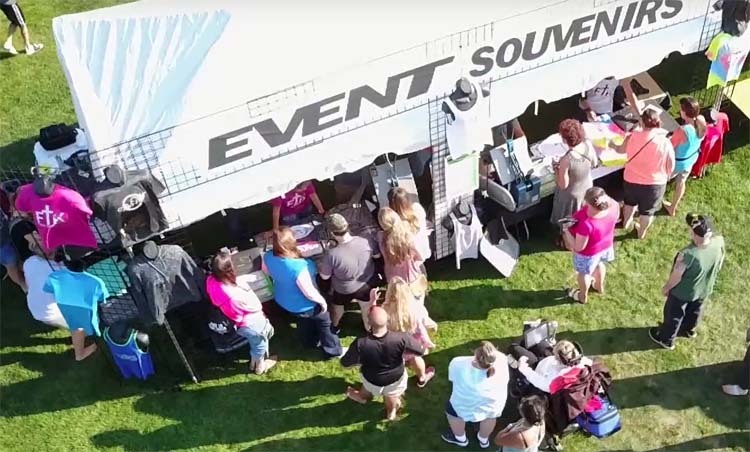 If you do decide to add on-site printing to your event, it’s critical you pick the right company to handle the capacity of customer desires! At Events By Idea, literally all of their service is free. They pay out company commissions after the event is complete. Sometimes they even continue with online sales per your request. EBI is proud to be family-owned and operated!